China is hoping to increase the volume of oil it purchases from Iraq by some 70 percent in 2014, Reuters reports. Speaking at the World Energy Congress in South Korea on Wednesday, Hussain Al-Shahristani, Iraq’s deputy prime minister for energy, said that China has told Iraq that it hopes to purchase at least 850,000 barrels per day (bpd) of crude oil from Baghdad next year, up more than two-thirds from the 500,000 bpd of crude it is importing from Iraq this year. This would put Iraq up there with China’s largest oil supplier, Saudi Arabia. Last year China imported around 1.1 million bpd from Saudi Arabia, which accounted for roughly 20 percent of Beijing’s total oil imports. Altogether, China imported about 2.9 million bpd of oil from the Middle East in 2011, or 60 percent of its total oil imports. As the increase in imports from Iraq suggests, China’s heavy reliance on Middle Eastern oil isn’t likely to change significantly for the foreseeable future, despite China’s best efforts to secure other sources of energy. According to Erica Downs of the Brookings Institution, by 2035 China will be importing 6.7 million bpd from the region, or about 54 percent of its total oil imports. Beijing expects Iraq to figure heavily into its energy policy towards the Middle East. Downs notes that much of China’s most productive upstream activities in the Middle East are in Iraq, where Chinese state-run oil companies are helping to develop the al-Ahdab, Halfaya and Rumaila oil fields. The Rumaila oil field in southern Iraq is particularly crucial. Believed to be the third largest oil field in the world, Rumaila is being jointly developed by the China National Petroleum Corporation (CNPC) and BP. CNPC owns a 37 percent stake in the project. It has proven to be an extremely lucrative investment for the company, which missed its targets for international oil production in 2012 due to unrest in countries like Sudan and Syria. By contrast, the Rumaila field exceeded expected production for CNPC in 2012, and ended up being the company’s top overseas project, accounting for nearly half its net overseas oil and natural gas production. Iraq holds great potential to continue being a major source of oil for China specifically and Asia more broadly. Al-Shahristani said at the conference on Wednesday that Baghdad hopes to raise its export capacity to 4 million bpd by the end of the first quarter of next year, up from 2.5 million bpd currently. Sixty percent of its current exports go to Asia, a number that is only likely to increase in the years and decades ahead. 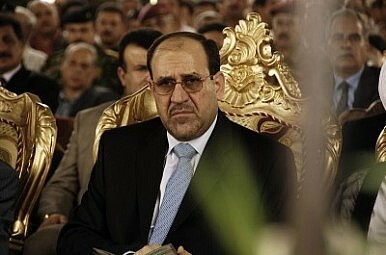 Iraq’s undeniable potential, however, must be weighed against the very real risks that investing in the country entails. The central government in Baghdad is locked in a bitter dispute over oil sales with Kurdish authorities in the north of the country. More troubling for prospective oil customers like China, security has been deteriorating rapidly as the conflict in Syria has renewed sectarian violence between Shi’a and Sunni populations in neighboring Iraq. In the context of the Saudi Arabia-Iran rivalry, as well as Turkish-Iranian competition, these tensions potentially have a regional element to them. With Beijing lacking a potent military capability to intervene in the region if it became necessary to protect its investments, Chinese companies operating in Iraq are at the mercy of the volatile political forces of the host country. Beijing’s decision to increase its purchases of Iraqi crude is thus a gamble, and its willingness to take this gamble underscores the difficulty Chinese leaders face in trying to secure enough energy to power continued economic growth. Zachary Keck is Associate Editor of The Diplomat. You can find him on Twitter: @ZacharyKeck. China and Iraq Expand Energy and Defense TiesAmid Ukraine Crisis, Russia Pursues Energy Deals With AsiaIt's Official: China's the World's Largest Oil ImporterChina to Invest $28 Billion in Venezuelan OilRouhani to the Rescue in Iran?